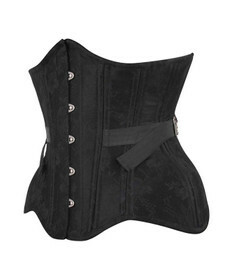 Noble brocade corset for waist training by Vintage Goth. 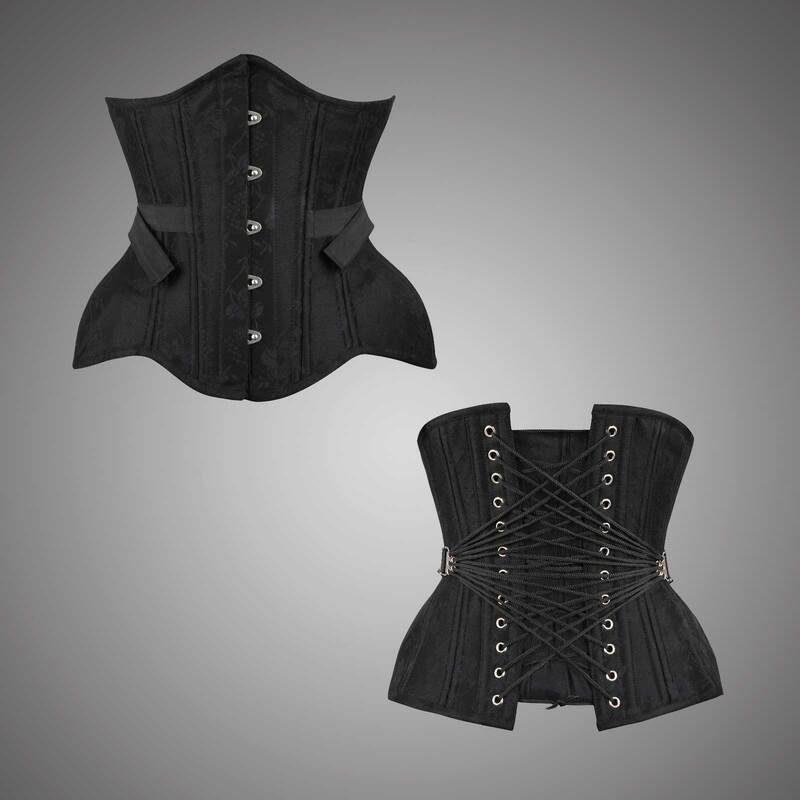 Underbust format with anatomic shaped design. Black brocade with cotton lining. Useful fan lacing. 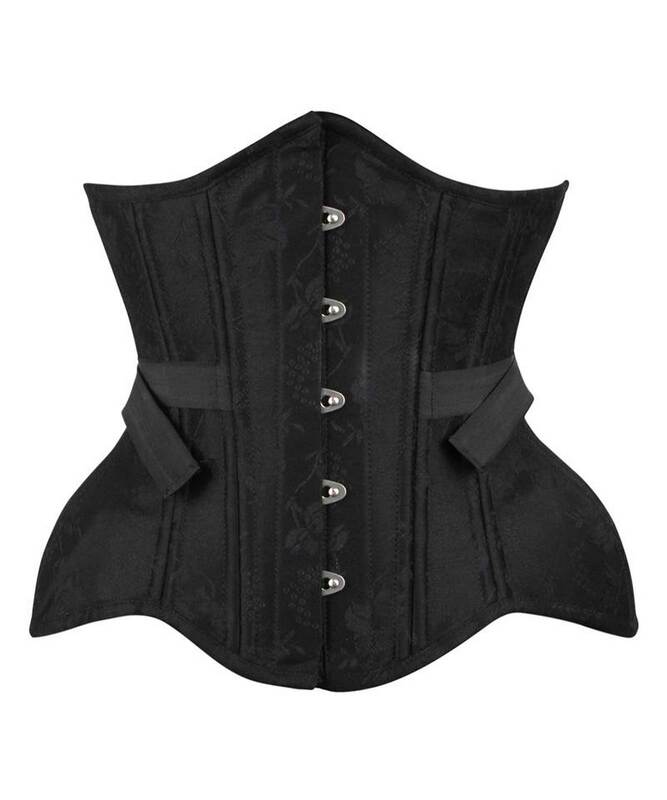 Noble brocade corset for waist training by Vintage Goth. Underbust format with anatomic shaped design. Black brocade with cotton lining. 5-pc. metal busk planchette, 2x12-hole lace up back. Firm waistband inside and a wide modesty back panel. 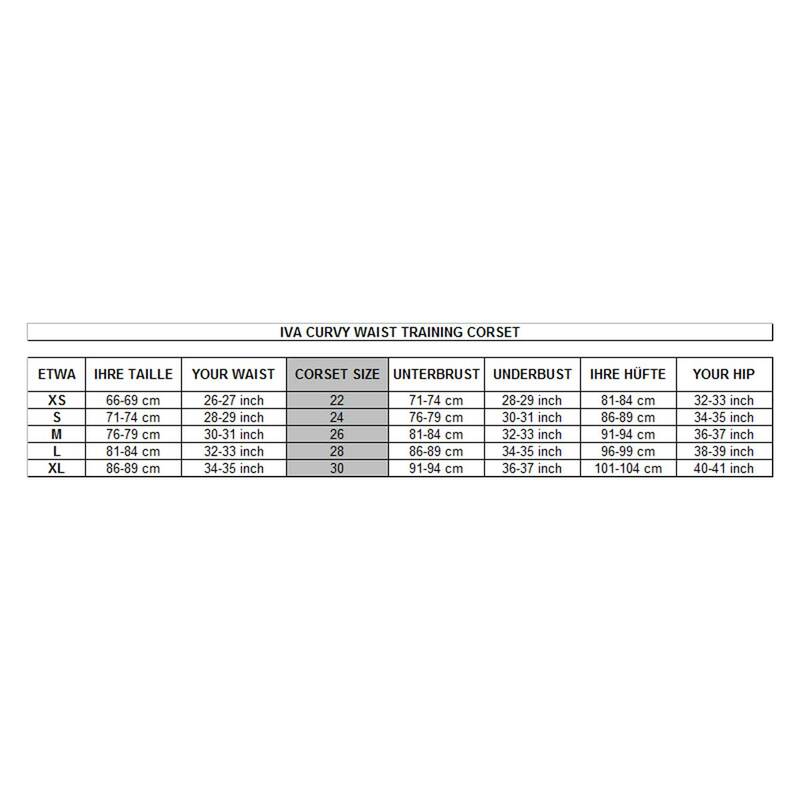 Overall 20 (!) embedded spiral steel bones and 4 flat steel bones for a high stability. Useful new fan lacing - steady tightening of the lacing (without a second person) by fixable side straps. It allows you a waist reduction up to 3-4 inches. This design is best suitable for petite and regular torso. 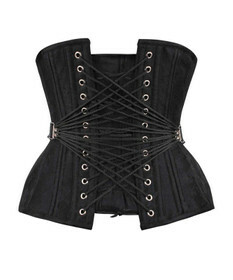 We recommend this model for experienced corset users.